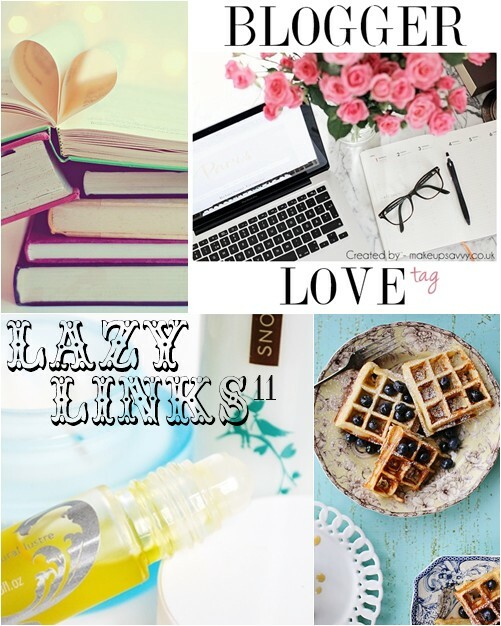 So pleased with the response to my Blogger Love tag... Last week I created my first ever tag that was designed to spread the love around the blogger community and I feel already it has done that! My favourite posts that have featured the tag so far - Lipstick With Some Sunshine, Miss Makeup Magpie, Sailboat and Zoe Newlove. Jane of British Beauty Blogger also created a video answering the tag questions here. You can find my original tag post here if you want to answer the questions on your own blog. Enjoying lots of blog posts... Getting a job with MAC Cosmetics - Part 1 here Part 2 here (Zoe Newlove), Nutella Swirled Banana Bread recipe here (A Cup of Jo), Avene Try-before-you-buy Samples here (Today I Adore), My Secret Motivation here (Thumbelina Lillie). Making waffles... lots of waffles! Not the healthiest thing I know (especially as I'm still using the pre-made mix that came with the waffle maker) but Belgian waffles are just sooooo good. I've had my waffle maker since Christmas and now waffles feature in my diet weekly, especially since I discovered they can be left to cool then toasted and also frozen! I'm hoping by spring I will have used up all the pre-made mix then I can start trying out some healthy recipes and modify my favourite protein banana pancakes in to waffles! Waffle Makers do vary in quality but I've been more than impressed with mine, you can find it on Amazon here. Lusting after... Rimmel Spacedust nail polish in Aurora, Muji Candles (thanks to Studs & Dreams post here! ), Garnier Miceller Water, Botanics All Bright Cleansing Toner. Seeing the results of my new(ish) skincare routine... Over the past 2 months I have refined my skincare routine quite a bit, ditching products that I felt weren't doing anything and adding in a few new products. The products I feel have transformed my skin are regular use of the Mudd Original Mask (£4.99 - Boots here), which draws impurities out of the skin amazingly well, as well as La Roche Posay Effaclar Duo Anti-blemish cream (£11.62 - Boots here) that has been fading blemish marks and really improving the texture of my skin. Updated skincare post to come soon. Random blogs I have been loving lately... Tiny House Swoon, The Private Life Of A Girl, Decor 8, Katie Cakes. Hope you are all having a nice relaxed Sunday.